How do you prepare for data migrations? My preparation always starts with a lot of coffee and acknowledgement for long nights. I am currently in the midst of migrating from our Force.com platform to the Salesforce Enterprise Org. 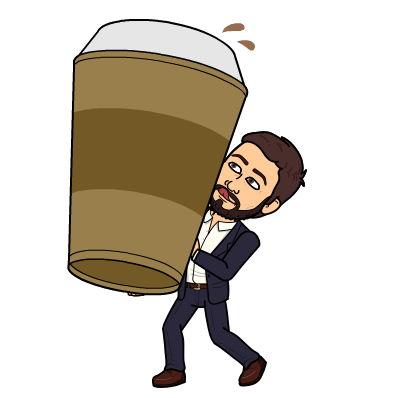 We have so much data that has to be migrated, and I am prepared for some long hours (with fresh brewed coffee). But with the right tools, this might not be as bad as it has always sound. For the longest time, I have always heard migrating data is a headache. And some of this is true, migrating data is a lot of work. Preparation and execution on mapping and vision are essential. However, there are so many great tools out there now in the year 2017 that really the headache of migrating data really isn’t that bad. Lucky for you, I have actually downloaded the following tools and migrated with each tool, to create a list of my favorite migration tools. dataloader.io by Mulesoft is an amazing data loading tool that allows Salesforce users to import, export, and delete an unlimited amount of data in Salesforce for free. This extremely user friendly tool works for the admin that has just a portion of data to migrate, as well as for the extreme, complex data migrations. As one of my favorite tools, I highly recommend using this tool. Excel-Connector is a tool that was made for complex excel sheets. For those who have multiple excel sheets, this is an excellent tool to use. Did I mention it is free? Thank you for reading my blog. Please feel free to comment your favorite Migration Tools. This entry was posted in Swim Training and tagged CRM, Data, Data Import Wizard, Data loader, Data Loading, Data Migration, Excel, Google, Jitterbit, Migrating Tools, Salesforce, Skyvia on December 13, 2017 by Phil Berry.